STEVE occurs farther south than most auroras, and that's exciting news for scientists. There's a new type of aurora in town, and its name is STEVE. No, we're not kidding. 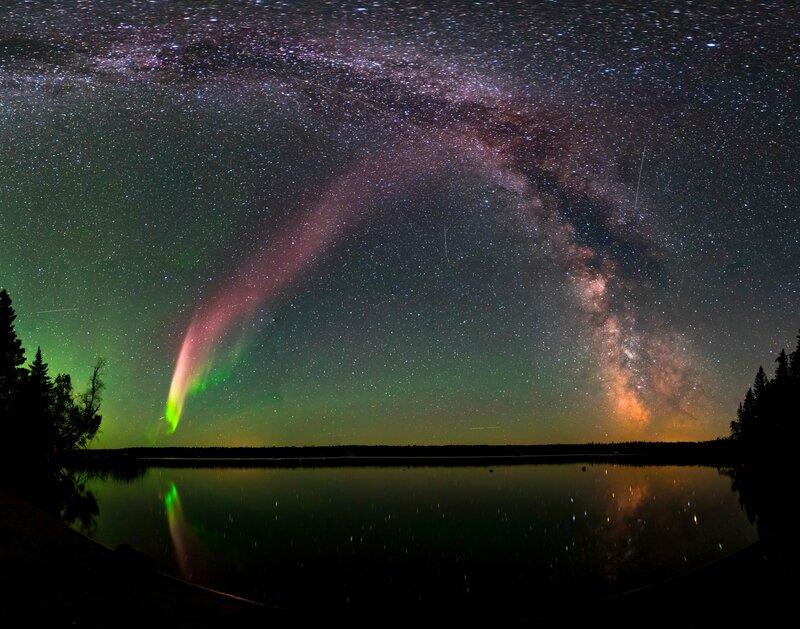 STEVE — the purple aurora here — was identified with the help of a number of citizen scientists and a NASA-funded project called Aurorasaurus. They gave it the name "Steve" as a placeholder. The aurora appears farther south and travels along different magnetic field lines than the typical aurora borealis. That's exciting news for scientists because it might help them understand a relatively understudied part of our atmosphere. For those wondering about the name, it stands for Strong Thermal Emission Velocity Enhancement. Yeah ... we'd stick with STEVE, too.